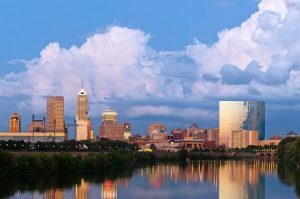 Indianapolis Federal Defense Law Firm - Oberheiden, P.C. Whether you are a company owner or executive, professional advisor, licensed professional, public official, or alleged drug dealer – facing a federal investigation has the same potential consequences. If you are under investigation, you could eventually face charges. If you face charges, you could eventually face a guilty verdict at trial. From the False Claims Act to the Controlled Substances Act, our nation’s criminal statutes impose severe penalties, including exorbitant fines and long-term imprisonment. In order to avoid these penalties, you need experienced legal representation. At Oberheiden, P.C., offer over 70 years of experience as prosecuting attorneys for the U.S. Department of Justice (DOJ), and we bring decades more experience to helping private citizens avoid unjust punishment. If you are facing a federal investigation or federal charge in Indianapolis, you need to put experience on your side. The federal agents and prosecutors assigned to your case could very well be in senior positions with decades of law enforcement experience, and in order to avoid conviction you should do everything you can to level the playing field. At Oberheiden, P.C., we offer the ability to shift the experience factor in your favor. With our team approach, you will benefit from all of our federal defense attorneys’ collective experience; and, as former DOJ prosecutors, we have the experience to understand when, why, and how the federal government pursues criminal charges in all types of cases. Learn more about the attorneys on our federal criminal defense team. Seeking to Prevent the DOJ from Filing Charges. Avoiding charges is the best-case scenario once you have become the target of a federal investigation. We have helped many of our clients avoid charges in federal cases and we have also convinced prosecutors to pursue civil enforcement actions rather than criminal prosecutions. Building and Executing a Comprehensive Defense Strategy. While it only takes one successful defense to overcome misguided allegations, we focus on identifying all possible grounds to have our clients exonerated from the allegations against them. This includes asserting Constitutional protections, challenging the government’s evidence and assumptions, and asserting affirmative defenses that exculpate our clients from criminal culpability. Obtaining Bond. Obtaining bond in a federal case is a unique process, and in order to obtain bond it is critical to have a thorough understanding of the legal principles involved. At Oberheiden, P.C., we have been successful in obtaining bond in almost every instance that we have attempted to do so. Keeping the Pressure on After an Indictment. Once an indictment has been issued, many clients (and attorneys) assume that their only options are to negotiate a plea deal or take their case to trial. However, we have learned that by keeping the pressure on after an indictment, we have had success in having our clients’ charges dismissed prior to trial. Fighting for Justice at Trial. If the prosecutors assigned to your case refuse to agree to a dismissal or negotiate a fair plea deal, we will fight aggressively to protect your rights at trial. All of our senior defense attorneys have extensive trial experience, and we rely on courtroom-tested strategies to force the government to meet its burden of proof. There are attorneys who take cases to trial, and there are those that don’t. When you are facing the prospect of federal incarceration, you need an attorney who falls into the first category even if you have not yet been charged. Why? The answer is simple. Only by going to trial can you learn all of the ins and outs of the government’s prosecution strategy. The more cases you go through, the more you learn about the government’s tendencies. The more you understand why and how federal prosecutors pursue charges, and the more you understand what it takes to defeat charges that have been unjustly filed. If you know how to defeat charges, you know how to prevent them during the investigative process. At Oberheiden, P.C., we are trial lawyers. We have served as counsel in hundreds of federal cases, representing both the government and private citizens. This experience provides us with important insights for defending our clients at all stages of prosecution prior to trial. Of course, our experience also positions us to defend our clients in court as well. Take a moment and think about it. If you need to go to court, do you want a lawyer who doesn’t typically handle trials? Or, do you want a defense team that has been there hundreds of times before? Q: If I hire your firm, will my case be handled by inexperienced attorneys or junior associates? Unlike other firms, we can answer this question with an unequivocal, “no.” We can do this because we do not have any inexperienced attorneys or junior associates on staff. Our entire federal criminal defense team is comprised of seasoned trial lawyers, and when you hire our firm you will have decades of federal experience on your side. Q: What other factors should I consider when choosing legal representation for a federal case? Q: If I haven’t been charged, how do I know if I need legal representation? Any time you are under investigation by the federal government, it is imperative that you have legal representation. If you have any doubts about the potential severity of your situation, we strongly encourage you to contact us for a free case assessment. Q: Your firm does not have an office in Indiana. Do you still accept cases in Indianapolis? Yes. While we maintain offices in select locations around the country, we serve clients in major cities nationwide. We have attorneys who are admitted to practice in multiple federal jurisdictions; and, when necessary, we can represent clients pro hac vice or through relationships with locally-licensed counsel. For more information about our services and the circumstances of your federal case, please contact us to schedule your free and confidential case assessment. You do not want to wait any longer than necessary to engage legal counsel, so call or request an appointment online today.